National HTA Garden Gift Vouchers are an ideal gift and the perfect solution for family and friends who have an interest in gardens and gardening. Gardening gift tokens are valid for six years and are available in multiples of �00, �.00 and �.00. We post gift tokens to any address in the UK - that could be to your own address or directly to a member of your family or to a friend. 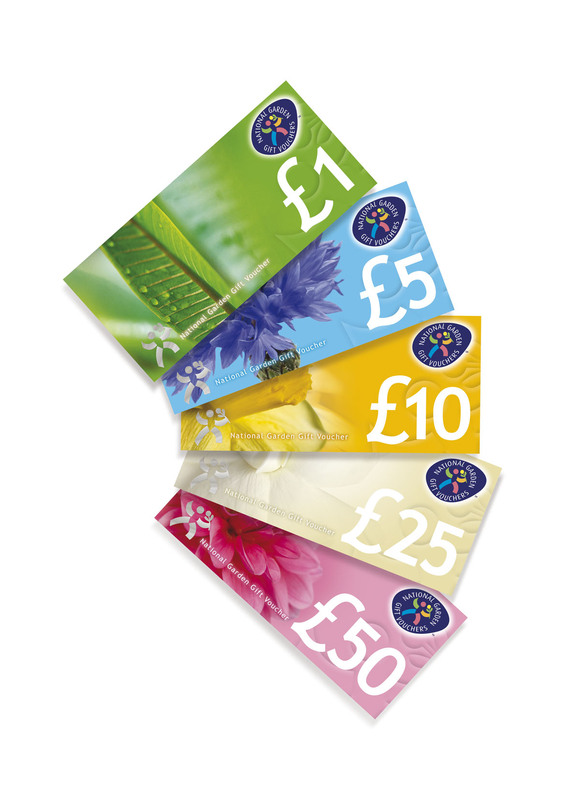 The vouchers can be redeemed at over 2,000 garden retail outlets throughout the country, including Nurseries, Garden Centres and Interflora florist shops. A choice of greeting cards are available, and can be personalised with your own message.